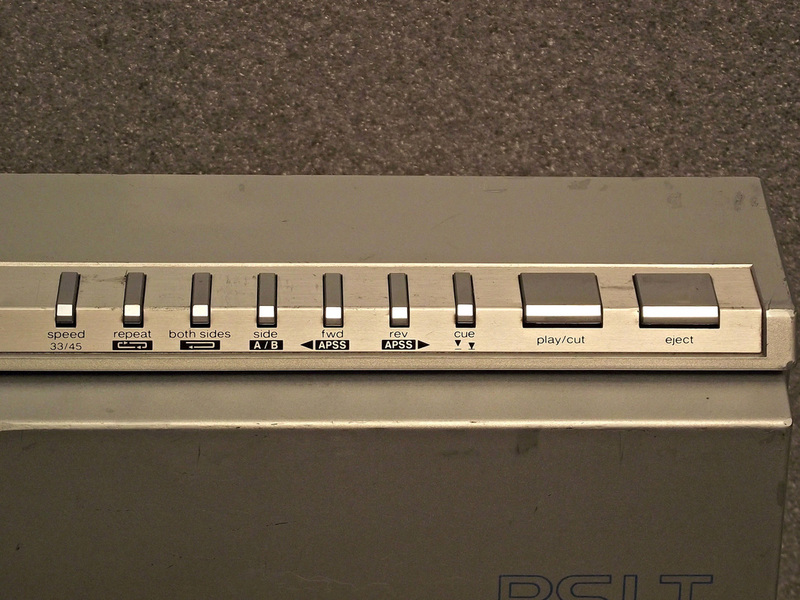 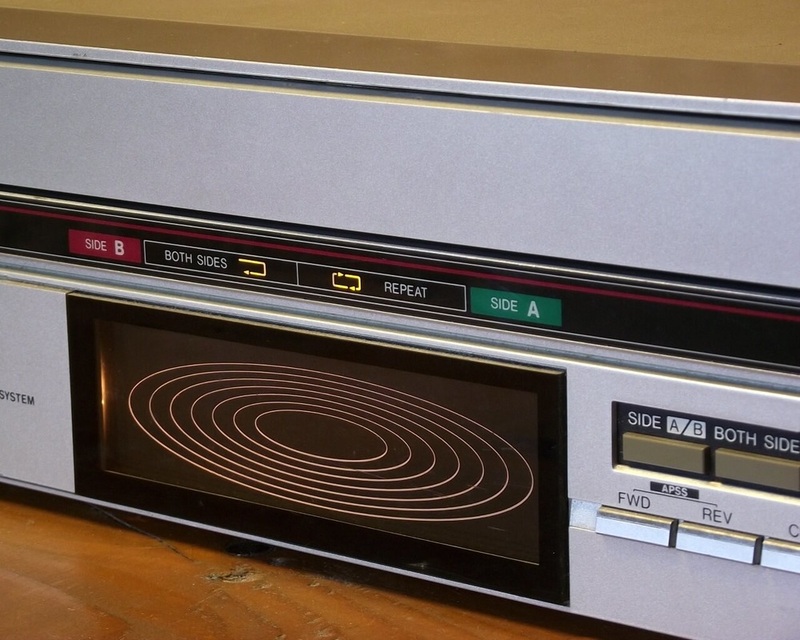 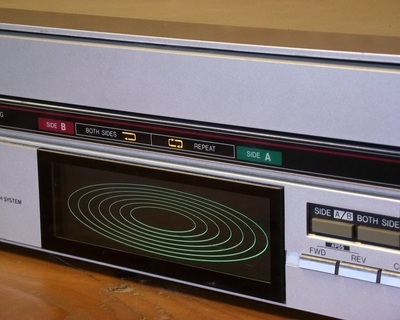 The AKAI AP-Q60 was first introduced with the 1981 model range. 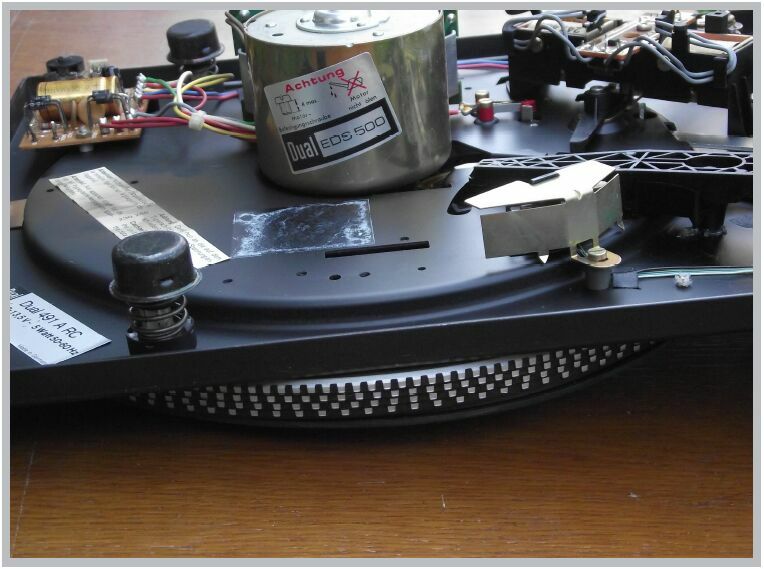 It is uses a Direct Drive DC-servo motor with Quartz control in a full automatic construction. 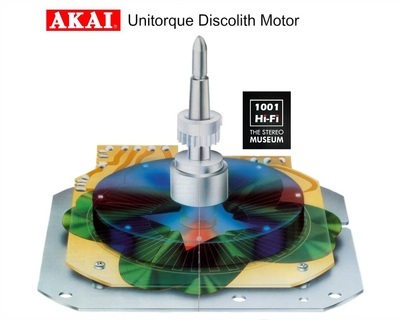 The motor itself is a special construction and it was called by AKAI - Unitorque Discolith Drive. This is a flat brushless construction as seen in the detail picture that uses two star shaped coils arranged at 22.5 degrees to each other. 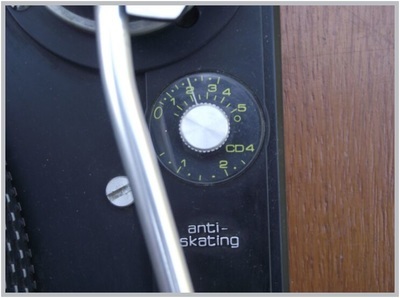 The Quartz control can be deactivated and there's a pitch control that allows you a +/- 5% speed adjustment. The strobosope will help you to set the correct speed with the pitch control however this is not needed with the Quartz control activated. 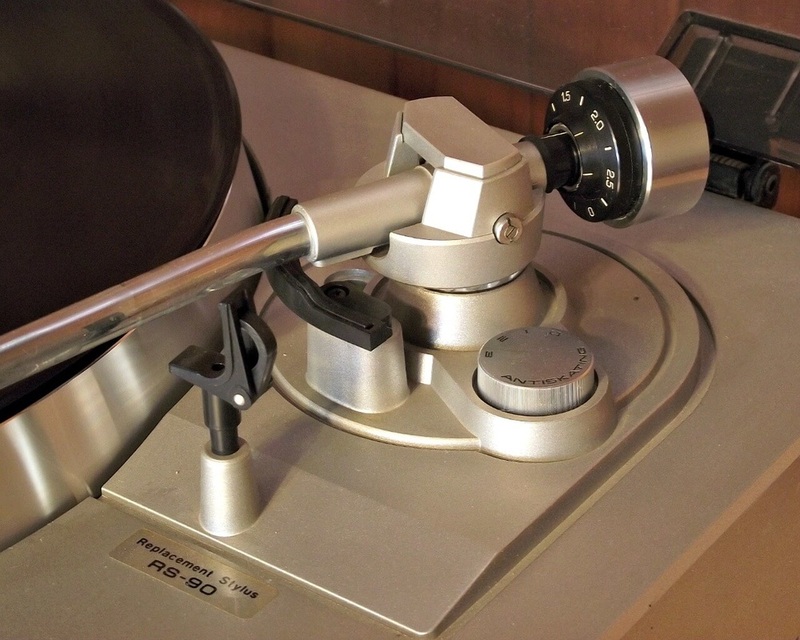 The AKAI AP-Q60 turntable uses a 220 mm long S-shaped tonearm that came pre-equiped with a AKAI PC-90 cartridge sourced from Audio Technica. 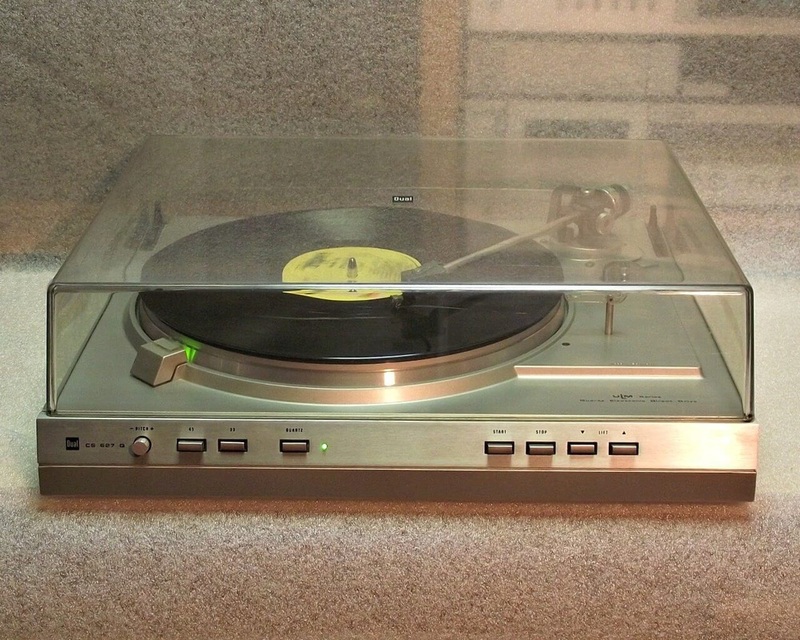 Over the silver plastic body of the turntable is a removable transparent dust cover. Have a favorite LP ? Then with the Repeat function you can listen to it over and over. 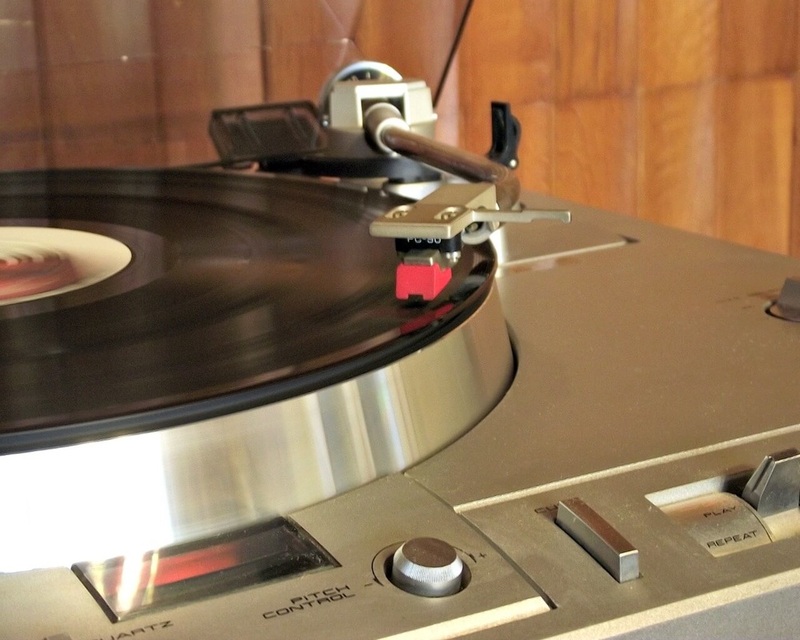 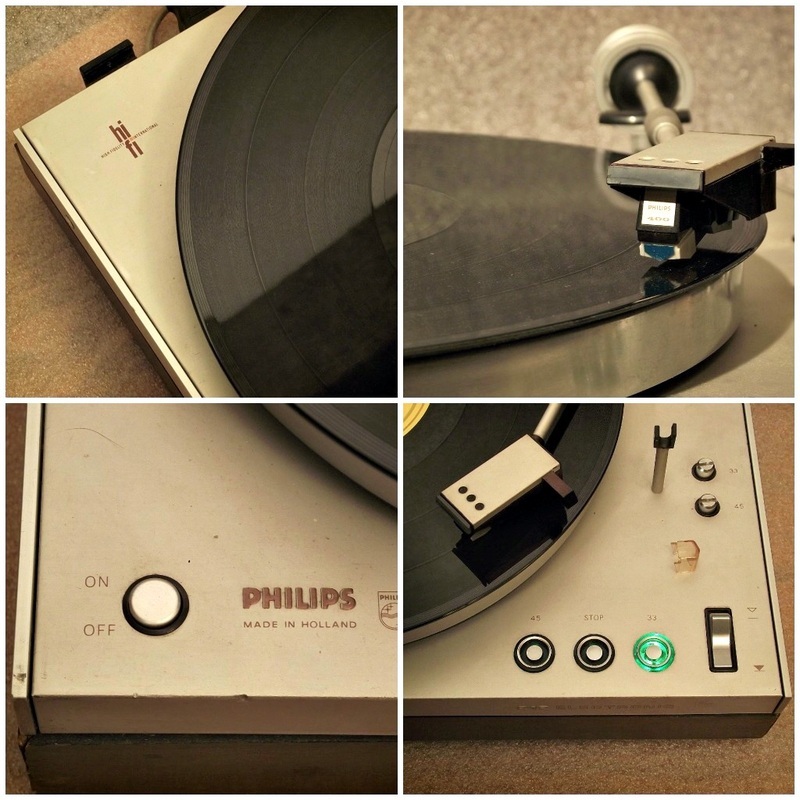 Read more about how to connect a turntable to your amplifier. 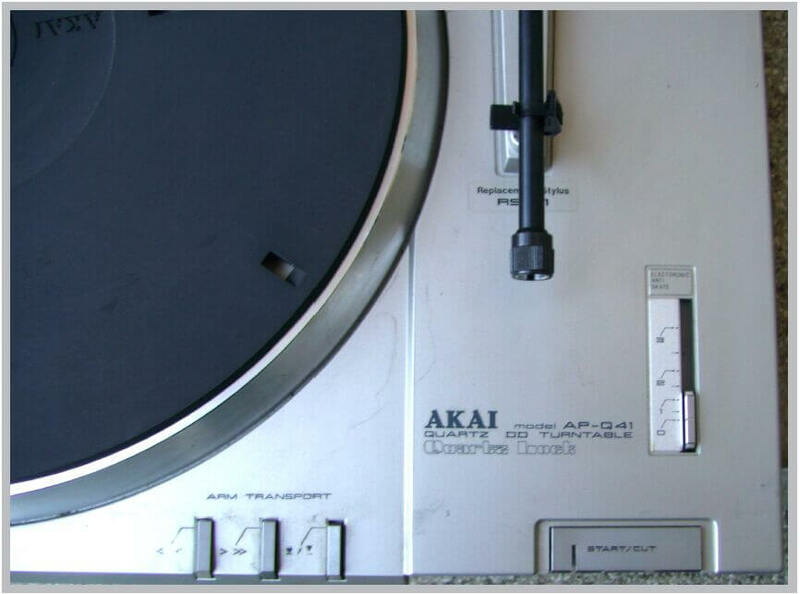 High tech player with a special carbon arm and AKAI's Discolith motor with electronic break. 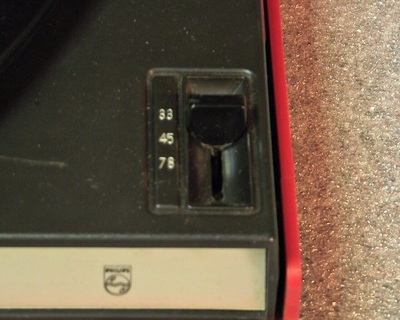 It has a motorized arm movement but unfortunately I do not have a cartridge for it. In fact I don't have the right sized headshell that fits in this arm. DUAL 491 A-RC - Direct Drive. 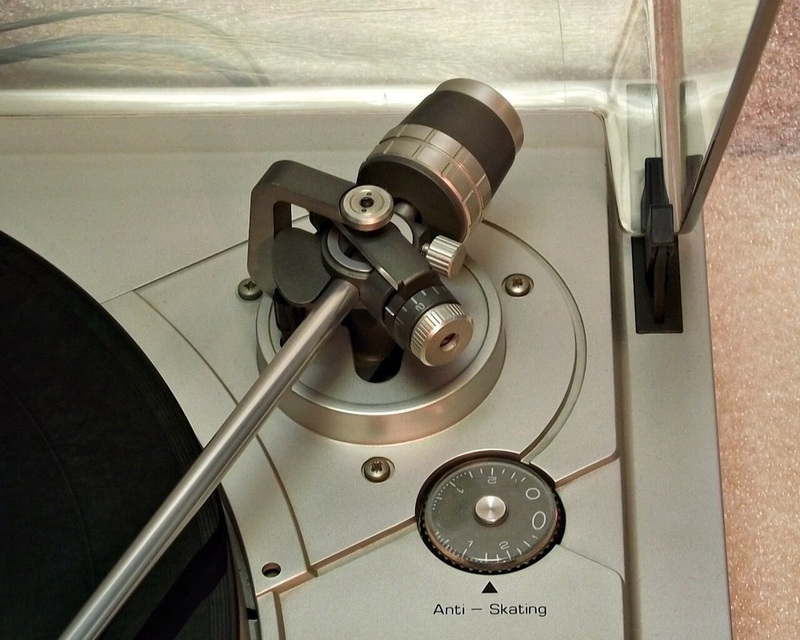 S-Tonearm. Full automatic. 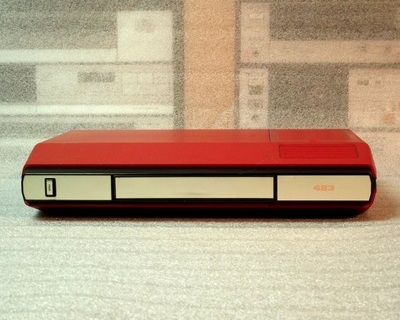 This is a special version of the CS 491 standalone model. 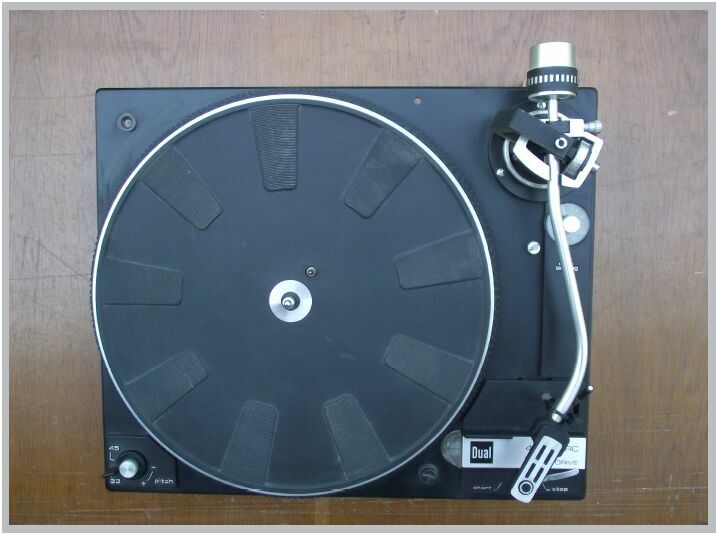 DUAL made many many turntables to be fitted in music systems from various manufacturers. 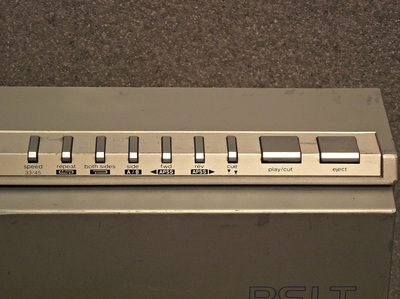 The one you see here is from my INGELEN HMC 400 music system (aka ITT HC 9071). 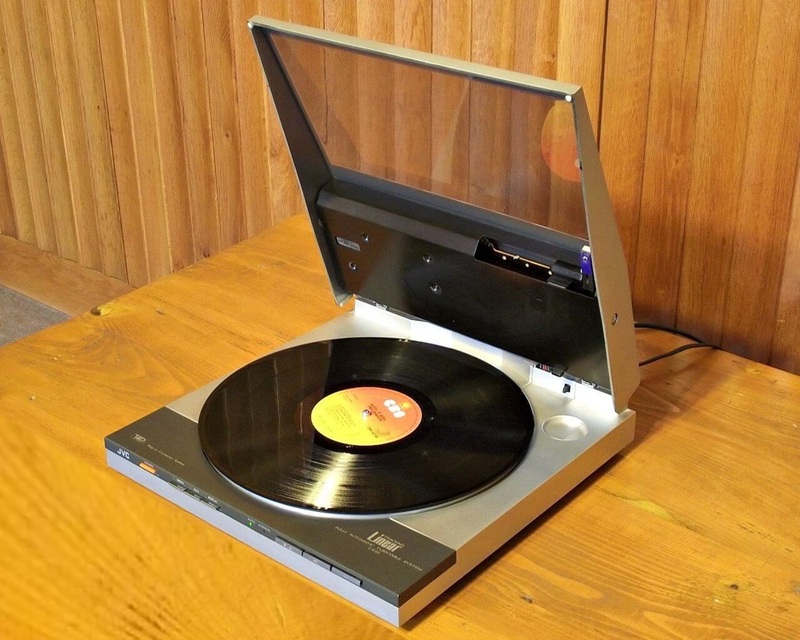 What makes this model special compared to the stand alone unit is the fact that can be remote controlled: PLAY, STOP, ARM lift and it has an S shaped tonearm. 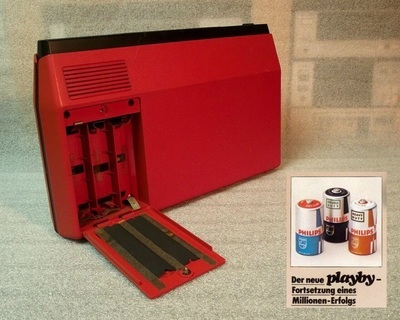 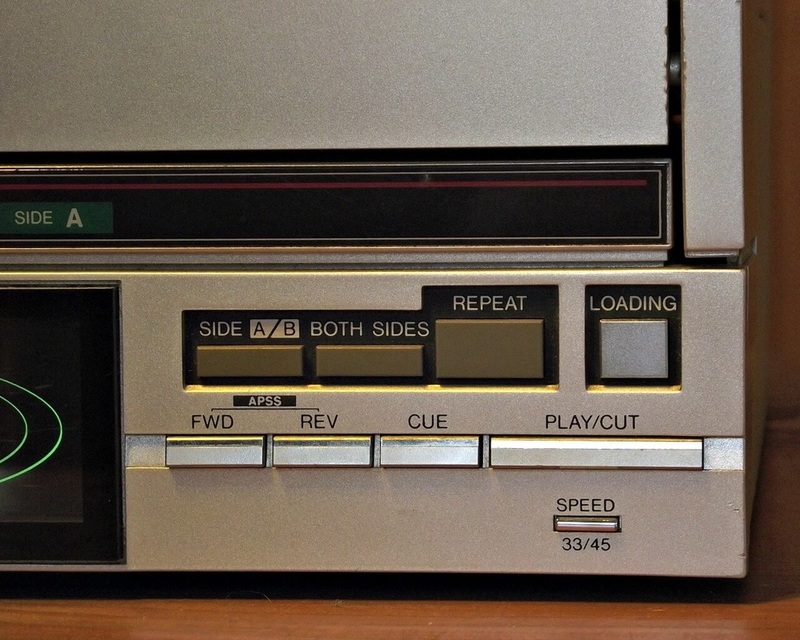 The player was originally equiped with a Dual DMS 240 E cartridge with elliptic needle that could be later replaced by a CD 4 (4 channel quadro) type cartridge. 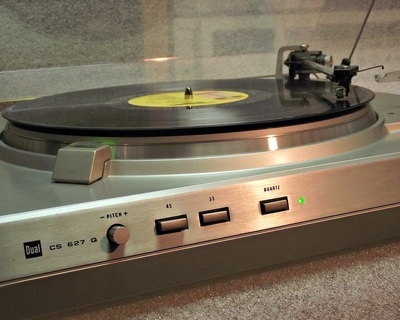 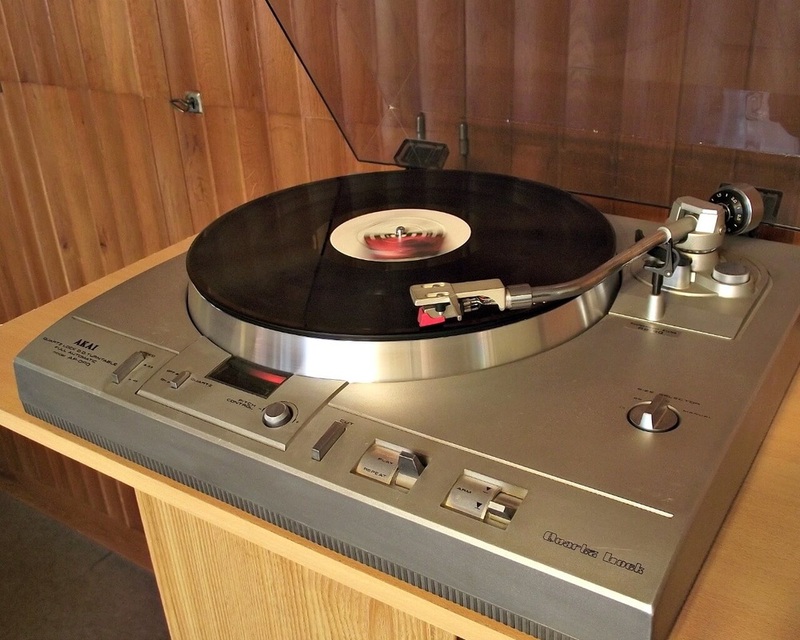 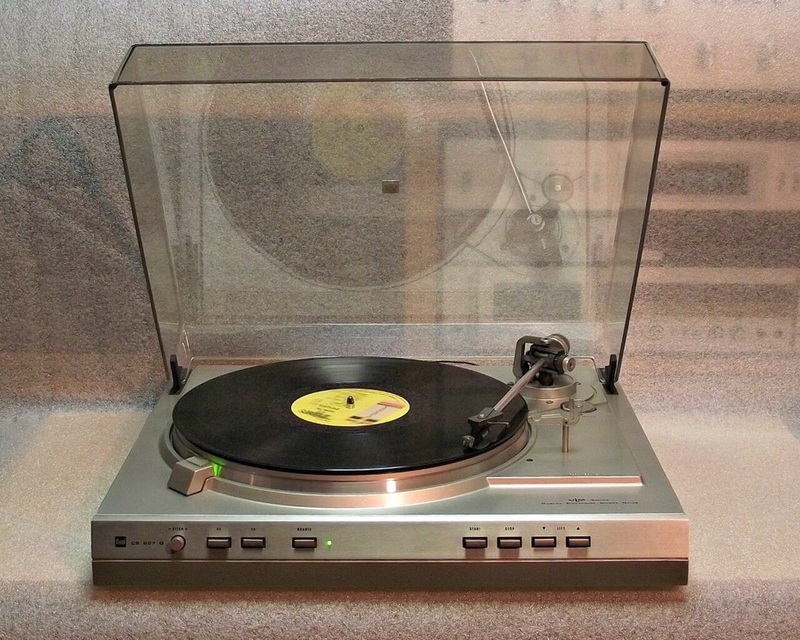 This is the DUAL CS 627 Q full automatic, Quartz PLL Direct Drive turntable introduced in June 1981. It was available in satin-metallic and anthrazit-metallic finish in a so called HDC housing with high internal damping and 4 integrated adjustable shock absorber feet. 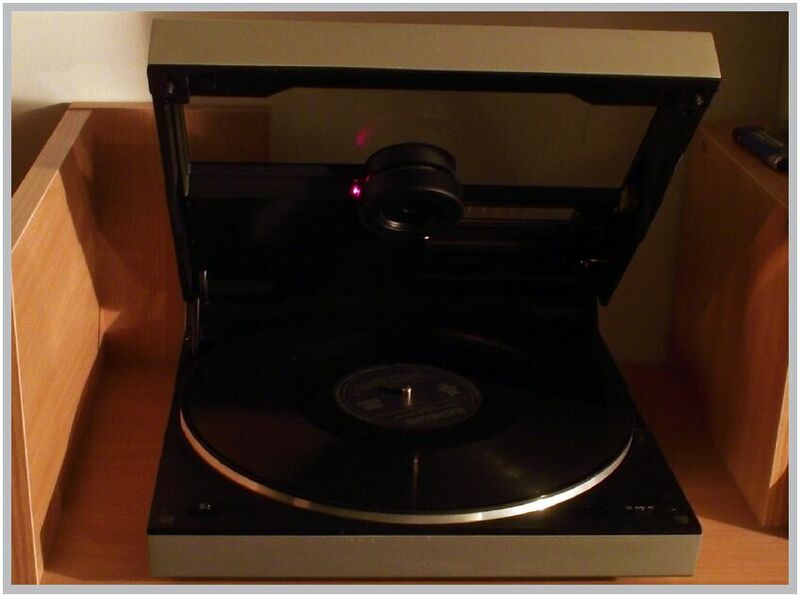 The turntable came factory equipped with the Ortofon TKS 55 E cartridge with elliptical needle mounted to the newly developped U.L.M. 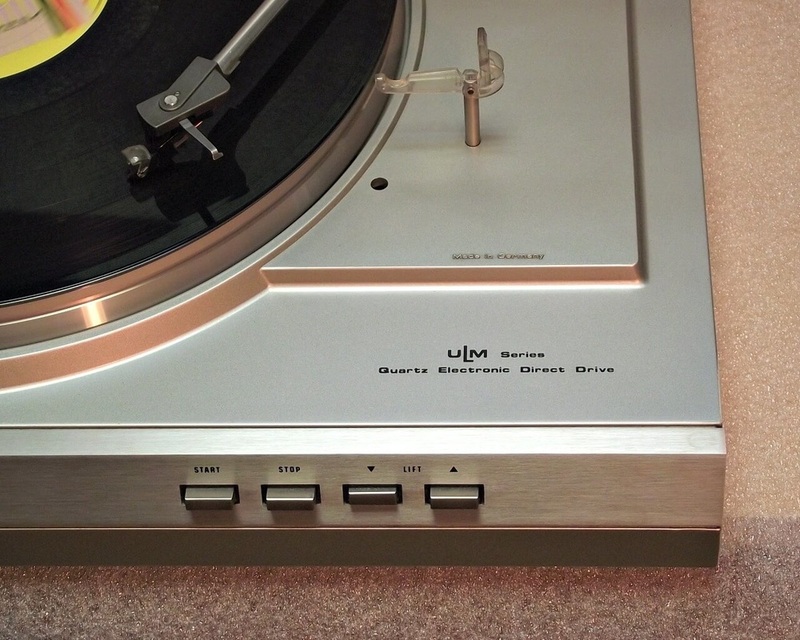 (Ultra Low Mass) arm. The U.L.M. 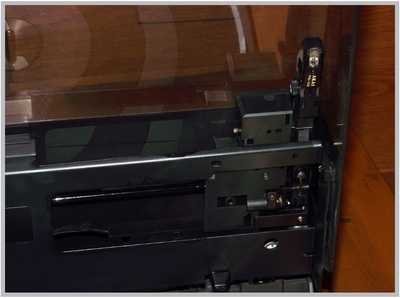 arm is attached to the new XM 300 four-point gyroscopic gimbal suspension system. 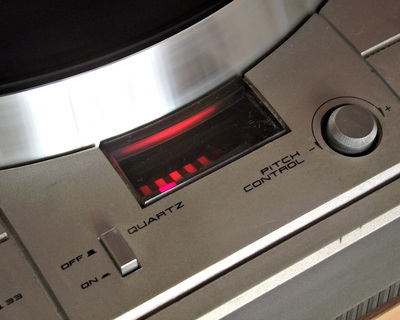 The DUAL CS 627 Q features an electronically controlled EDS 502 direct drive motor system with 11% variable pitch (when the Quartz control is off). 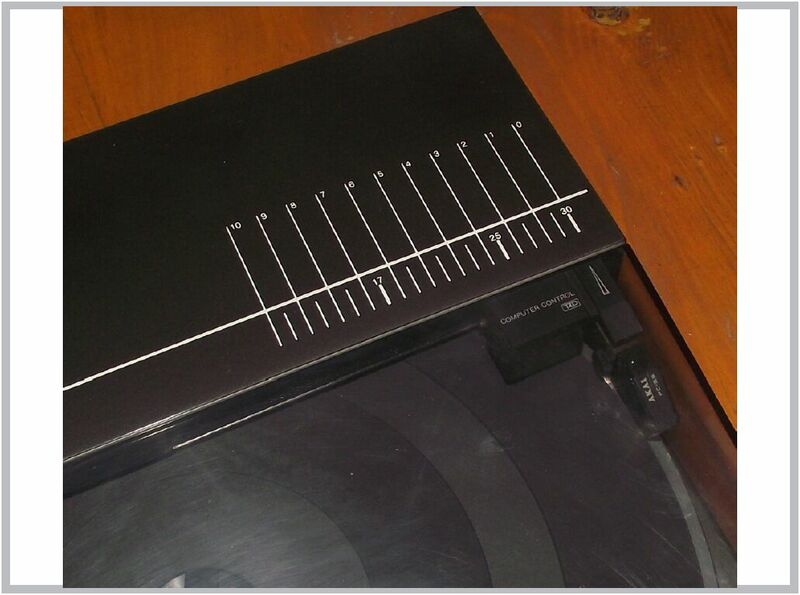 All the controls are situated on the front panel allowing operation of the turntable even with the dust cover closed. 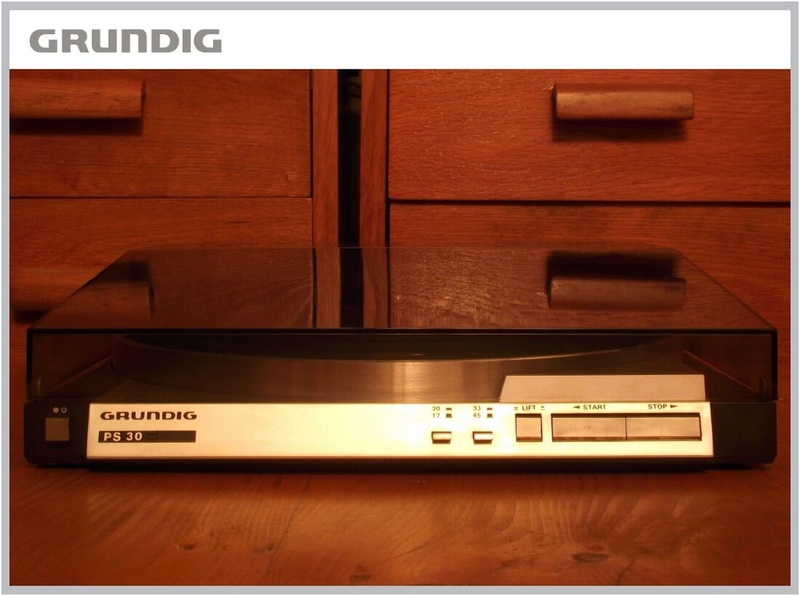 Great FULL AUTOMATIC, belt drive tangential turntable from GRUNDIG. 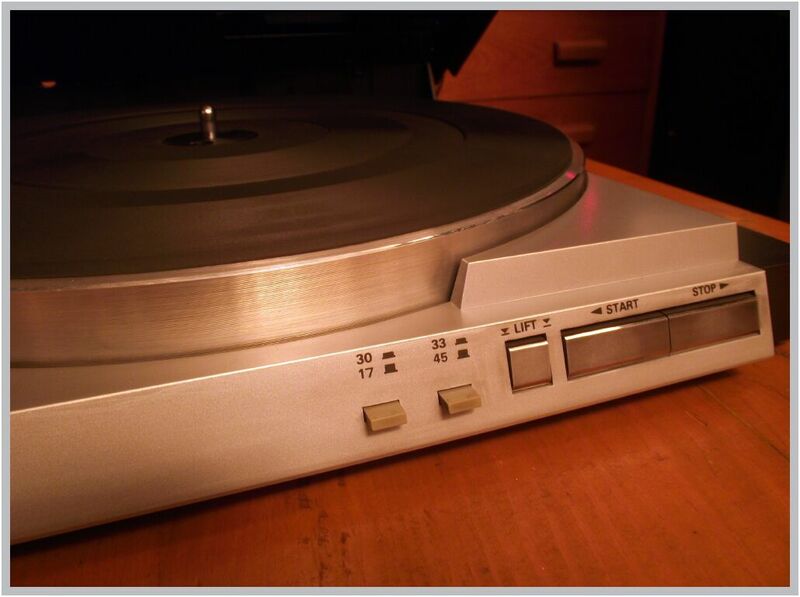 In this very small player you have features like: front control for all the operations, 30 cm diecast aluminum platter, 0.06% wow and flutter, DC motors and a T4P cartridge with a frequency response of 10-30.000 Hz. 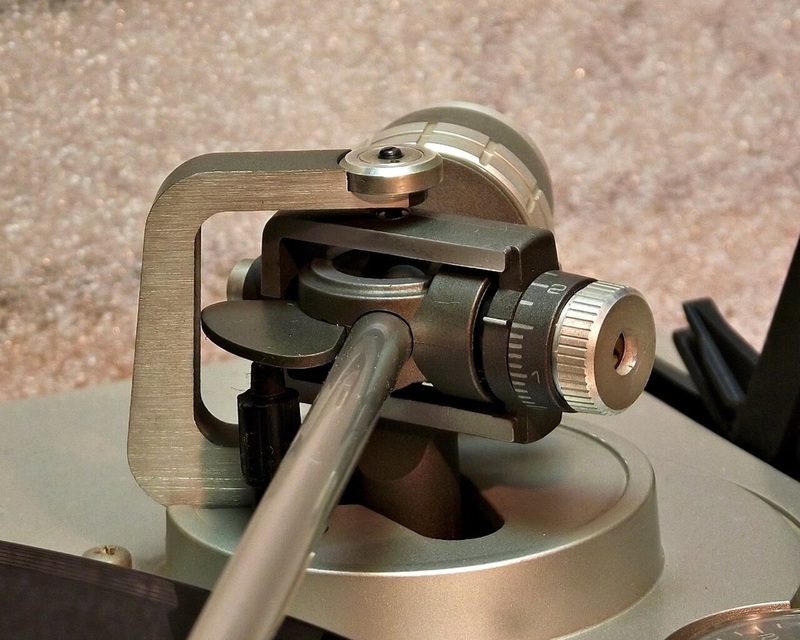 The tangential tonearm is located inside the dust cover and opens with this. This is a familiar solution and the player is in fact a rebadge of a Technics SL-3 turntable that originally had a Technics EPC-P 24S MM type cartridge. 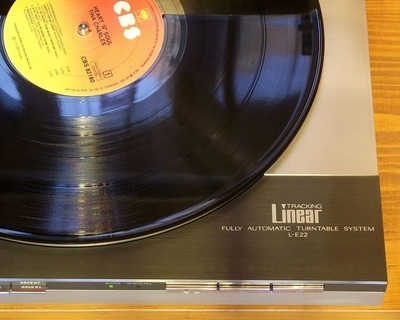 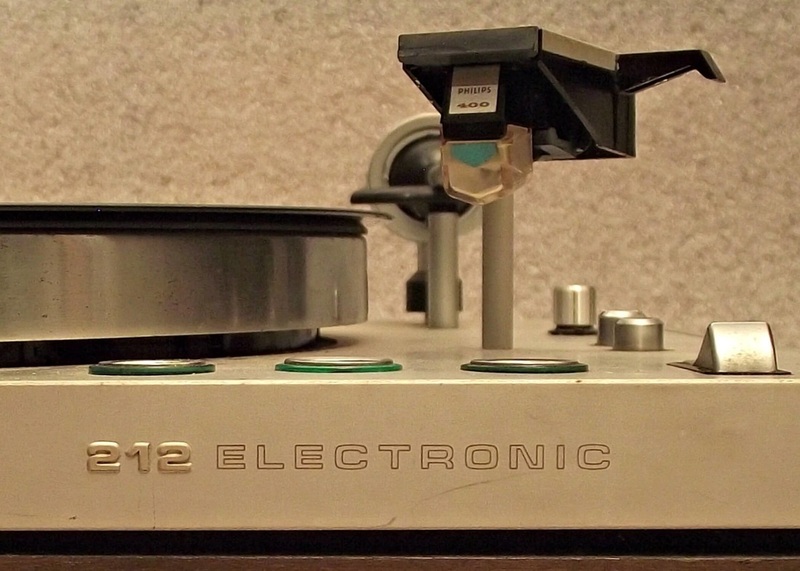 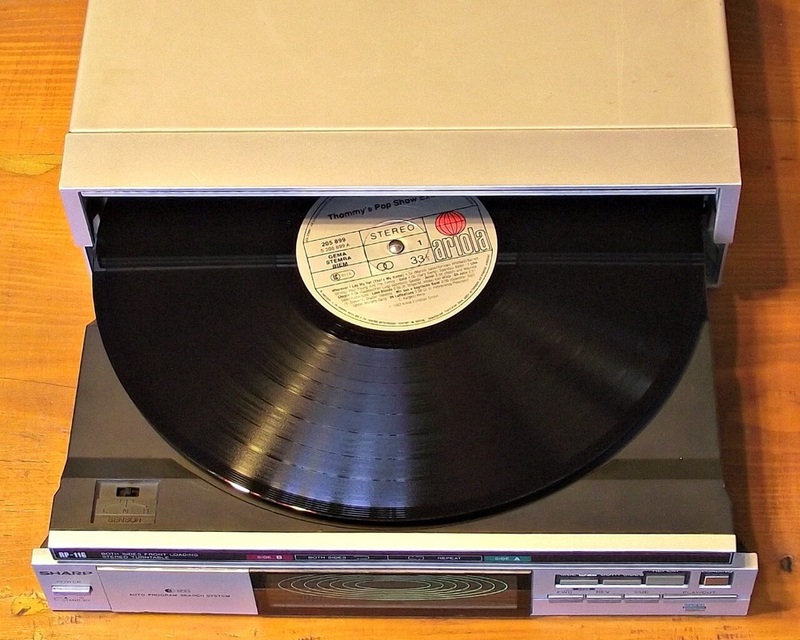 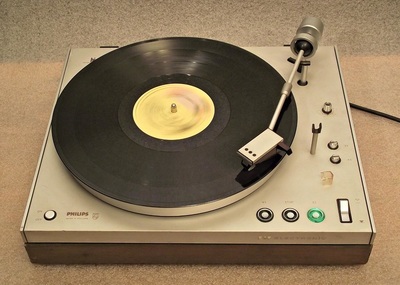 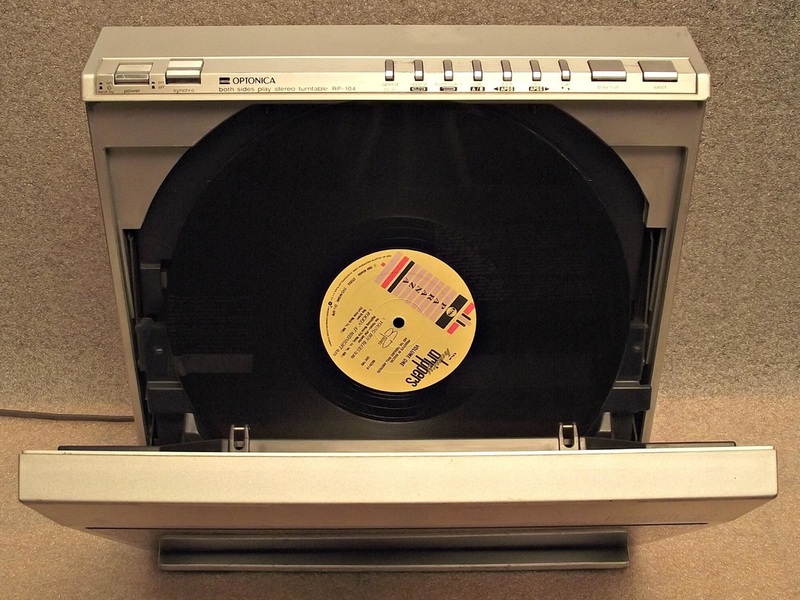 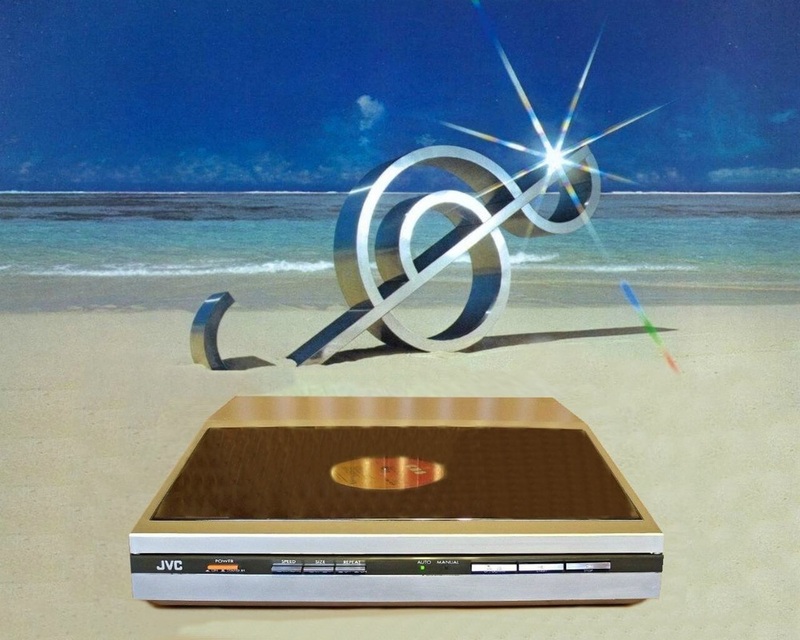 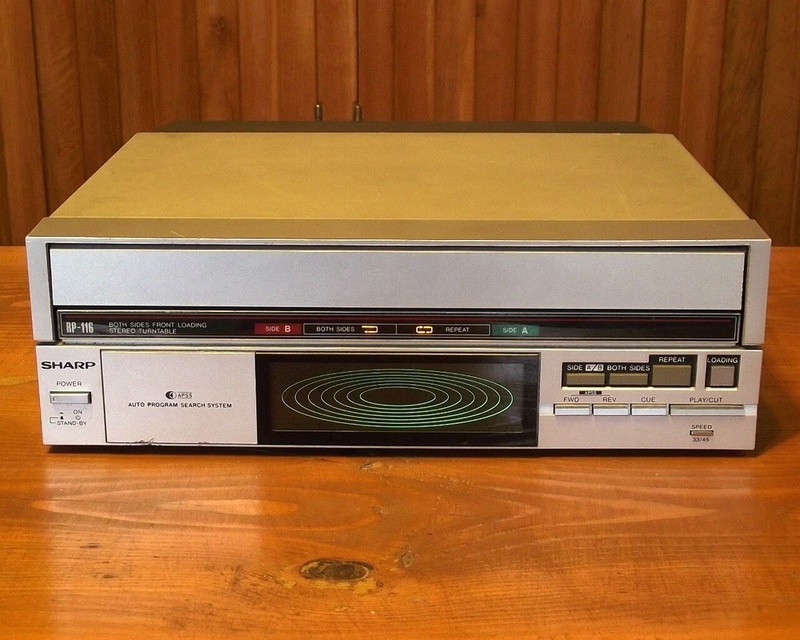 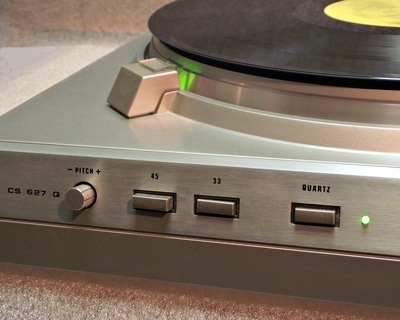 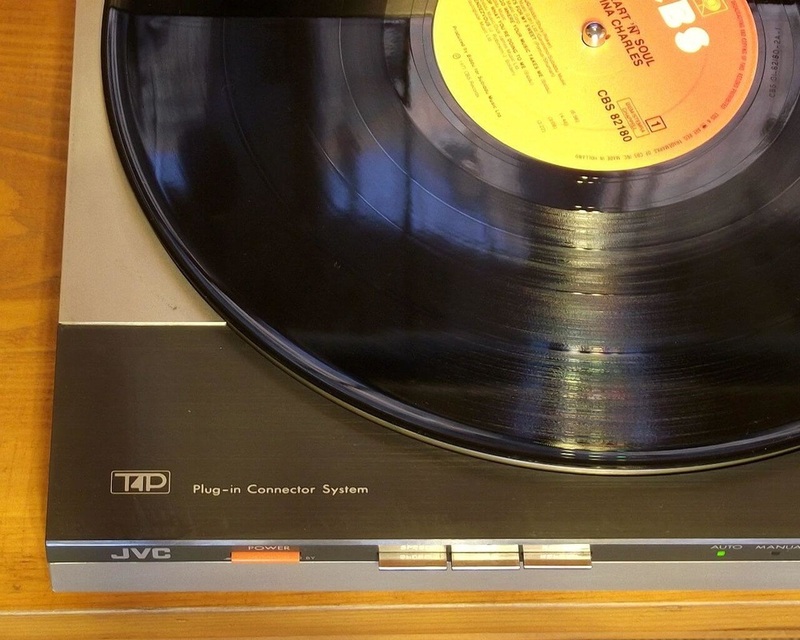 The JVC L-E22 was the smallest linear tracking turntable in the 1983 lineup. It is a compact (340x87x340 mm) fully automatic belt drive turntable. The turntable uses the JVC MD-1045 cartridge, a T4P plug in type cartridge, mounted to a staticaly balanced linear arm placed in the top cover. In order to play a record you must close the top cover. All the functions can be controlled via the small pushbuttons placed on the front panel. 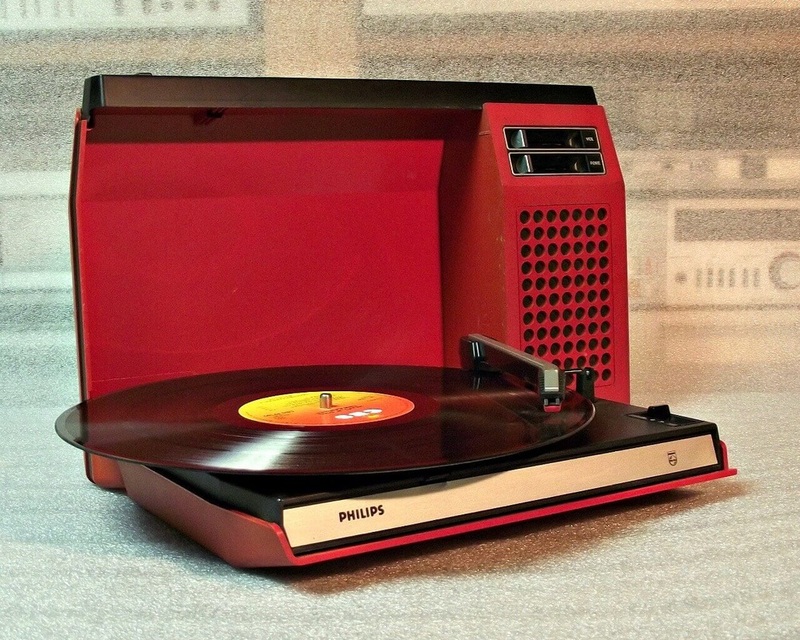 Top of the line PHILIPS turntable from 1972. 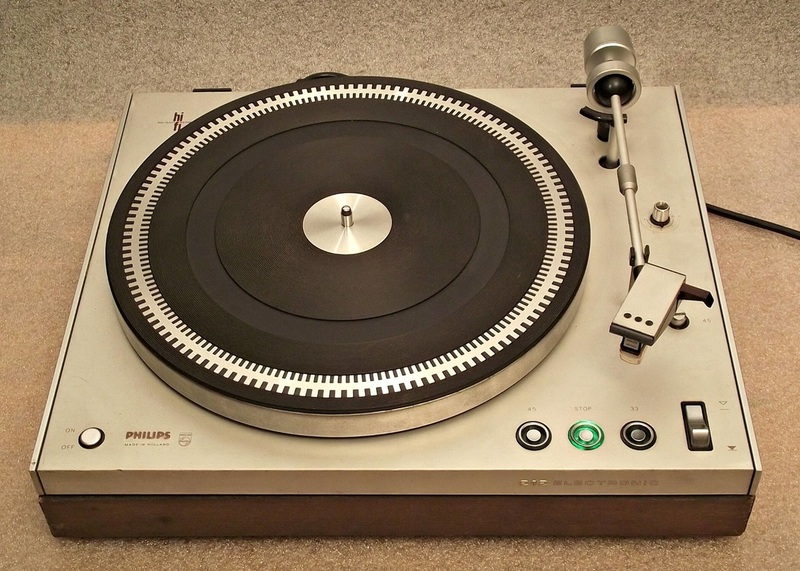 This is a belt drive semi automatic turntable using a floating chassis immune to external vibrations. 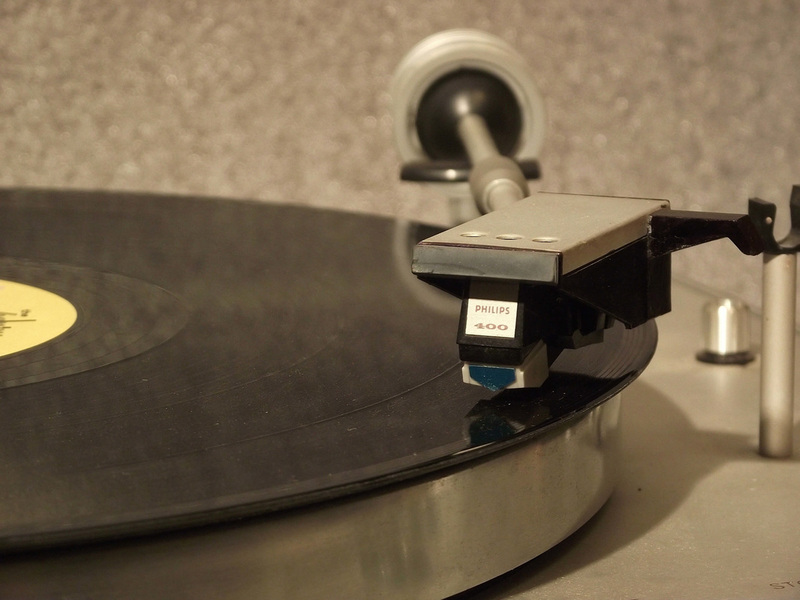 Semi automatic means that it uses an optoelectronic stop at the end of the record. 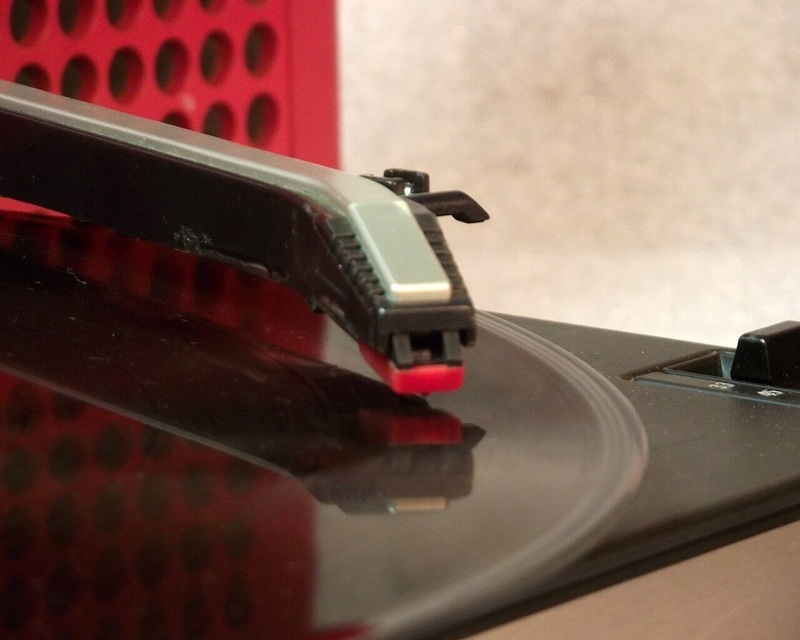 When the record reaches the end it stops spinning and cuts the output but the arm doesn't lift up. 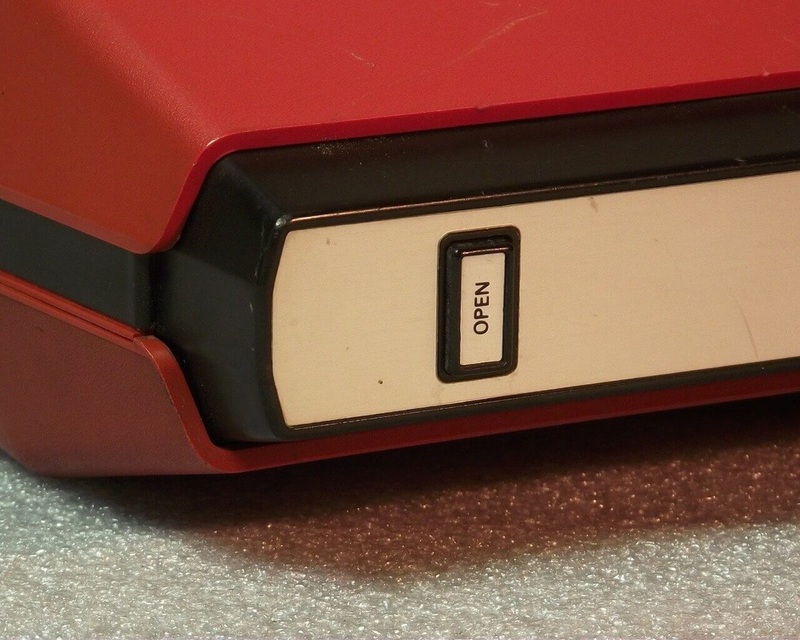 ​For the start and stop function it uses very nice illuminated sensi touch controls. 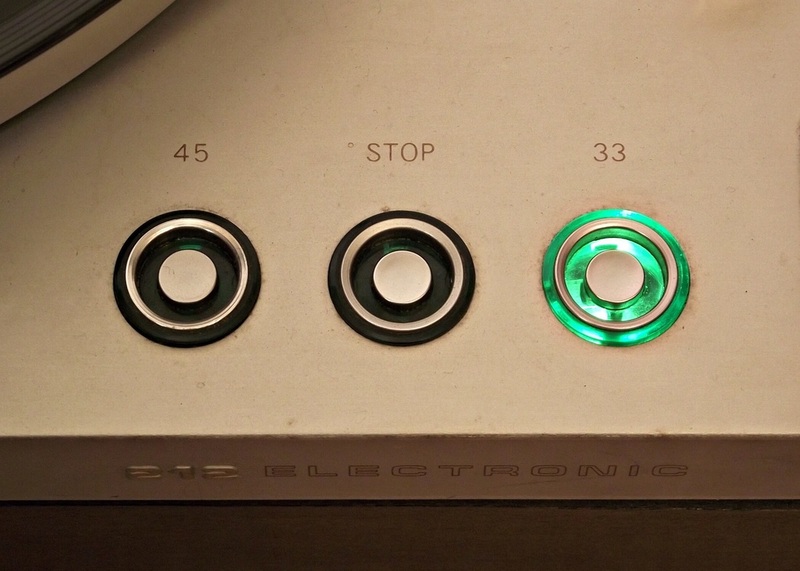 You simply put your finger so that electricity from your body connects the outer ring with the middle of the control to trigger the operation. 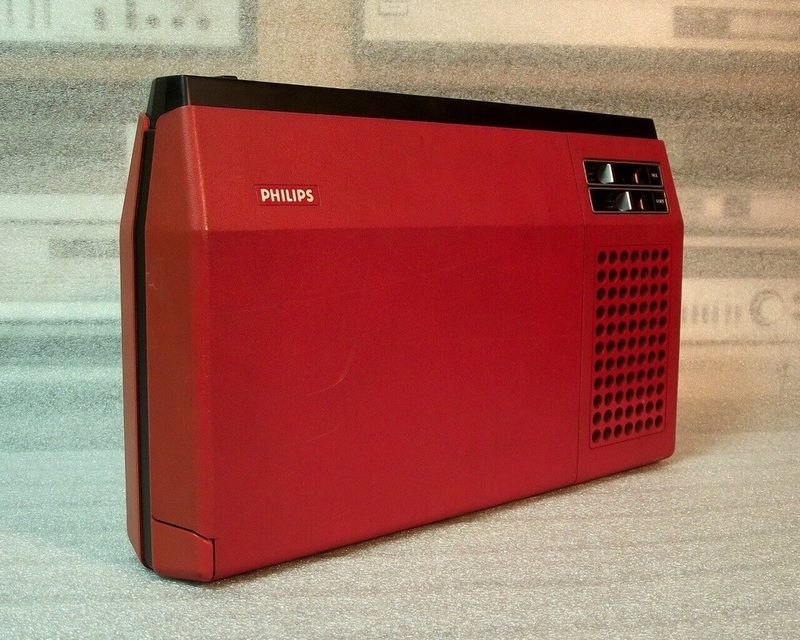 The cartridge is a PHILIPS SUPER M 400 with spheric diamond needle. 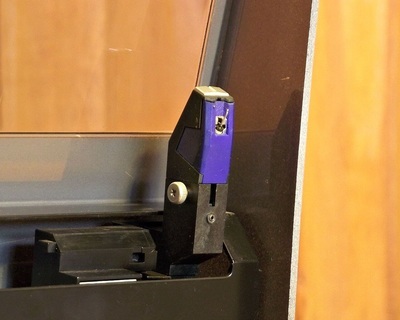 The mounting is a PHILIPS type plug in system, but the cartridge can be used on other headshells as well. 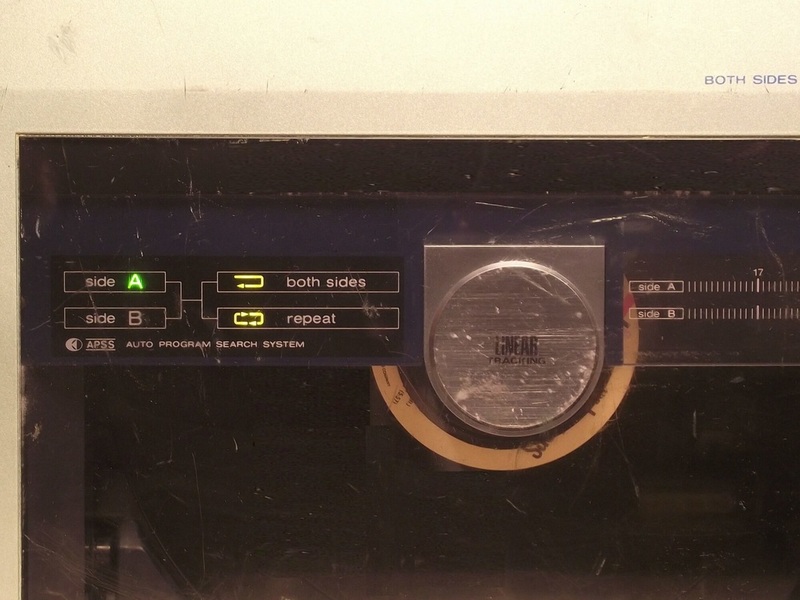 For speed control you have a stroboscope on the platter that has to be illuminated by a simple light bulb from your room to make the adjustments. Using this turntable today is like having a PORSCHE 911 from 1972. It does not match today models, but it is still cool with an extremely competitive sound. It is a manual operated monophonic idler drive turntable that was available in red, black and white. There's a built in 2.5 W (max. 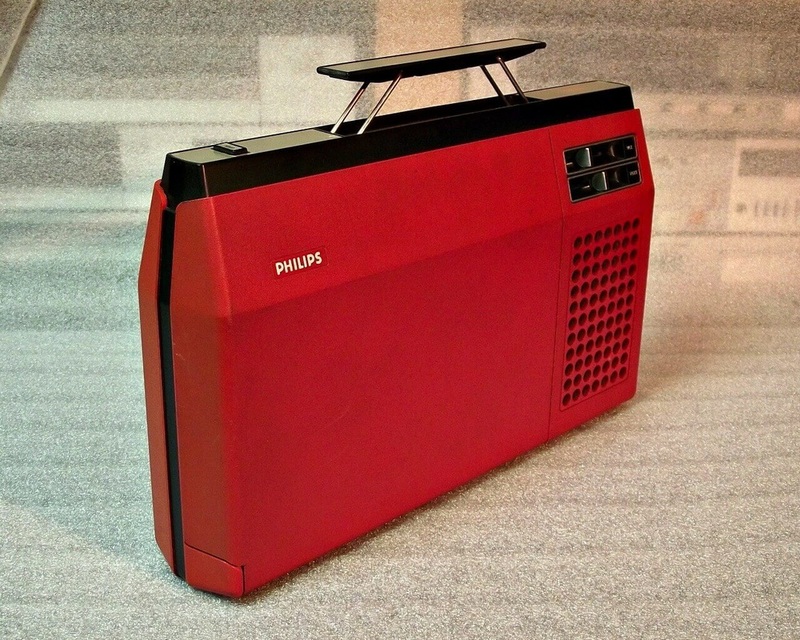 power) amplifier and speaker that can be controlled via a slider volume and a slider tone control while the record is played by a GP 214 ceramic cartridge. 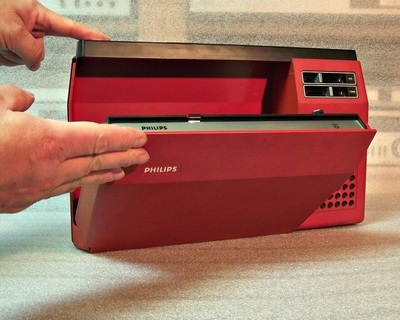 The unit measures 240x420x80 mm. 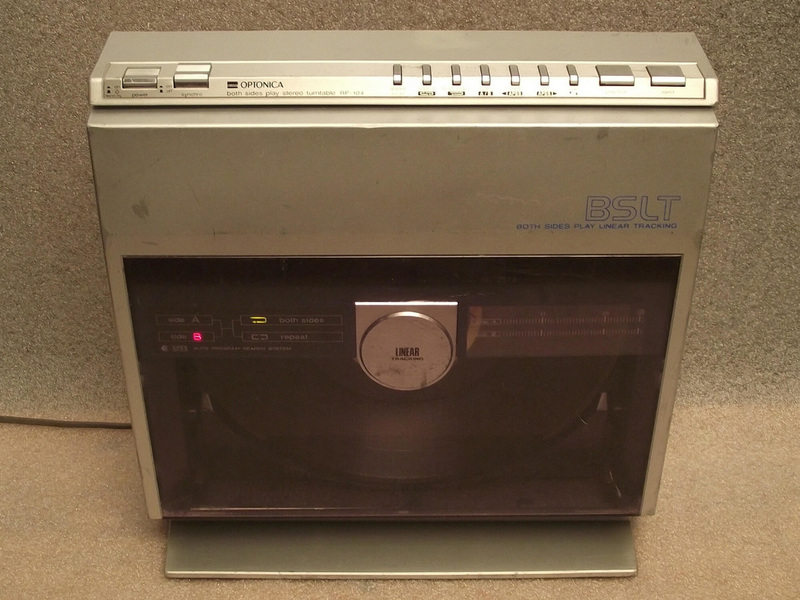 As you would expect from any old unit like this.....it is still fully functional....after 40 years. OPTONICA / SHARP vinyl spinner. 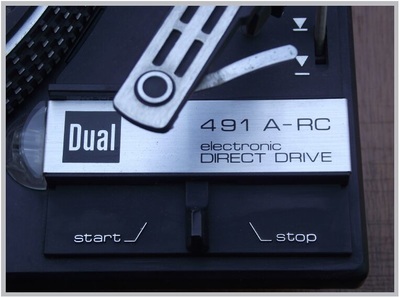 Vertical, tangential......and "autoreverse". A new vertical horizon. 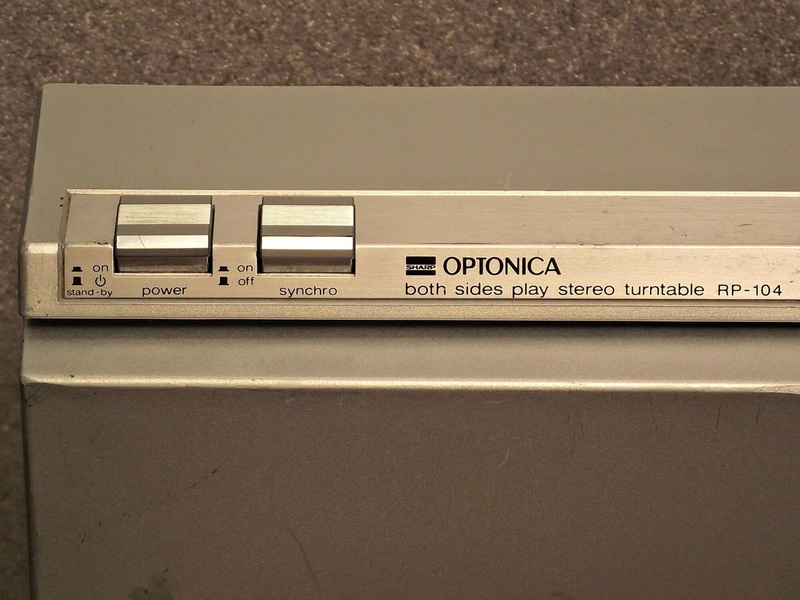 Back in the days when SHARP was still manufacturing audio products, they had an audiophile oriented division for audio products called OPTONICA. 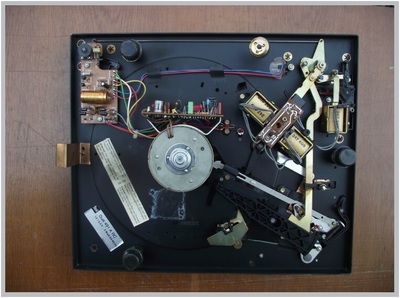 This OPTONICA model use tangential arms, and this technology allows you to build a record player that can stand vertically. 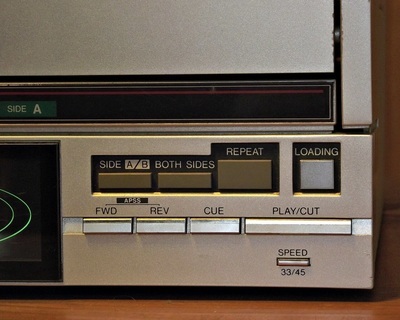 Features included are: repeat (one side or both), manual selection to play side A or B, "APSS" Auto program search system that alows you to skip forward or back a track, just like a CD player and synchro start for cassette dubbing. 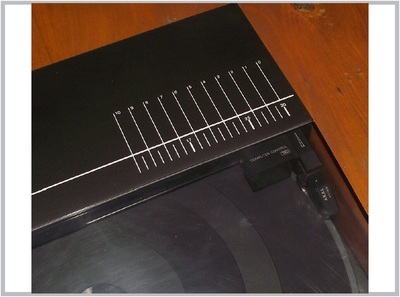 Because of the both sides play function the platter is not a full size platter. 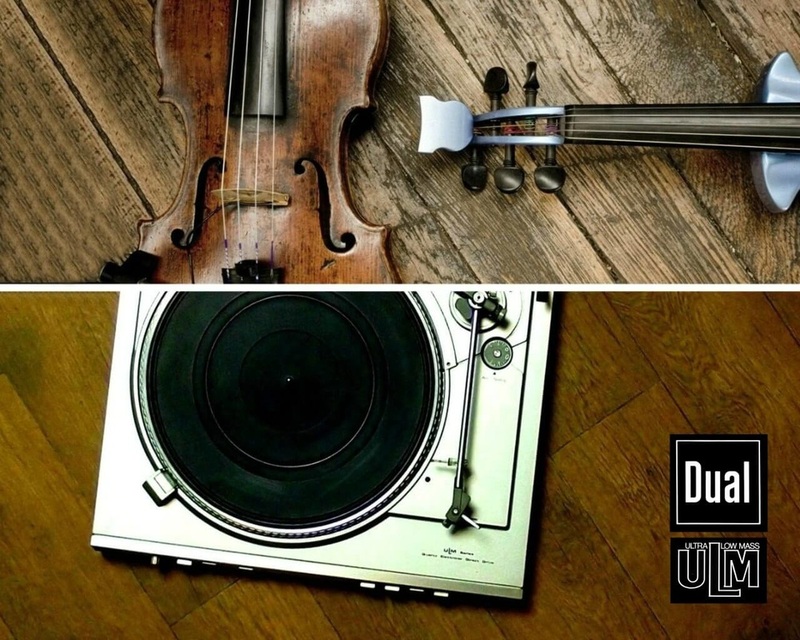 The turntable uses a belt drive system and the two arms came factory equipped with Audio Technica cartridges. 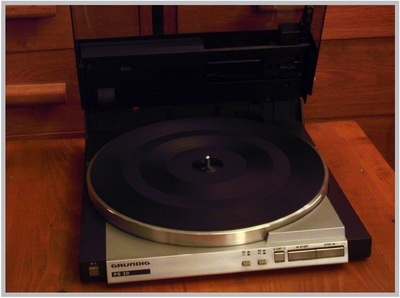 Here's a special front loading turntable from the 1985 SHARP line-up. 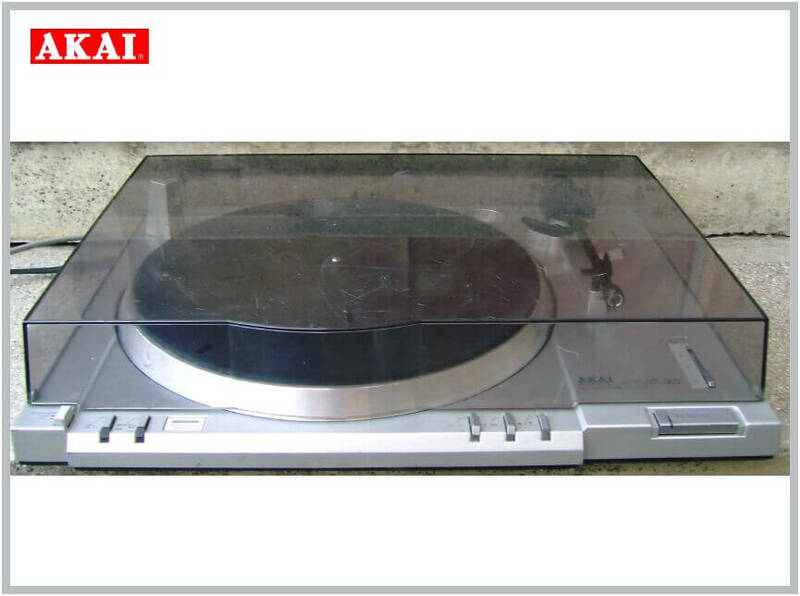 It is special because it's an "Autoreverse" turntable that was marketed by SHARP as Both Side Play turntable. 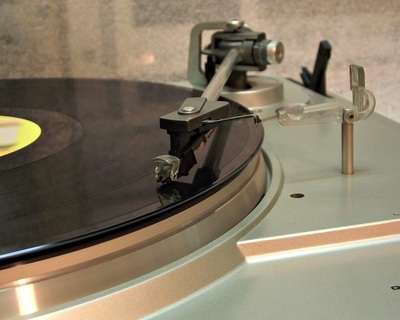 It has a special construction using two tangential tonearms to play both sides of the disc. 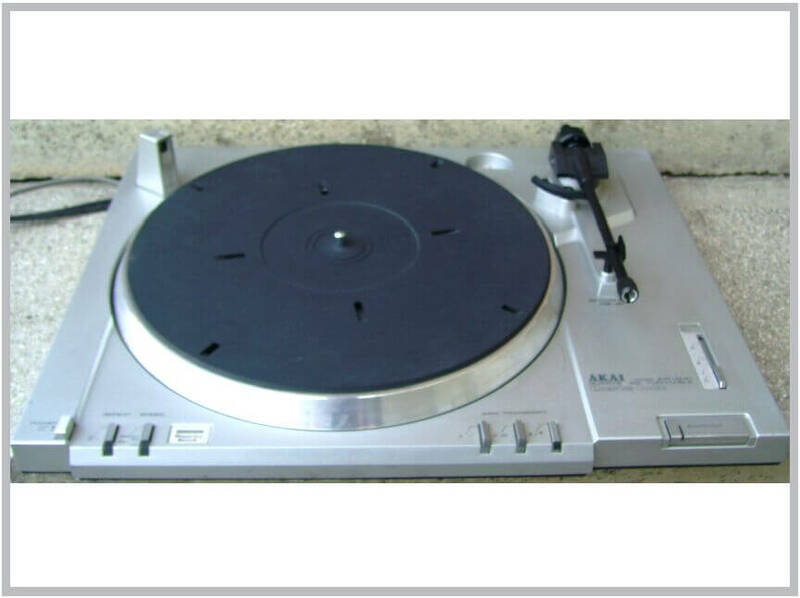 This microprocessor controlled turntable features the SHARP APSS (Automatic Program Search System) that allows track skipping just like on a CD player. 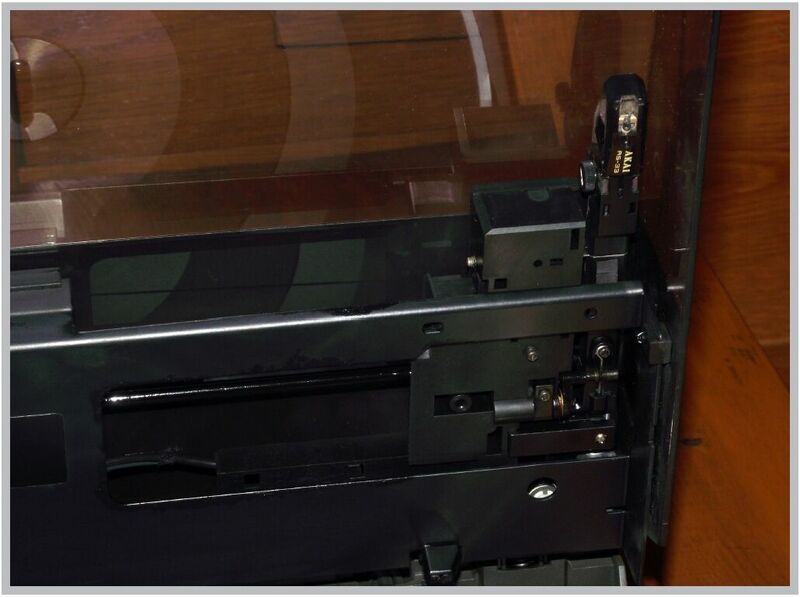 ​Track skipping is achived by an infrared sensor mounted inside the cartdridge. On the front panel there is a disc shaped graphic display that lights up green when playing side 1 of the disc and it lights up red when playing side 2 of the disc. 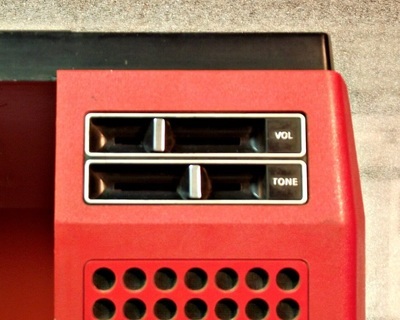 There is option for continous play of both sides and a repeat mode. 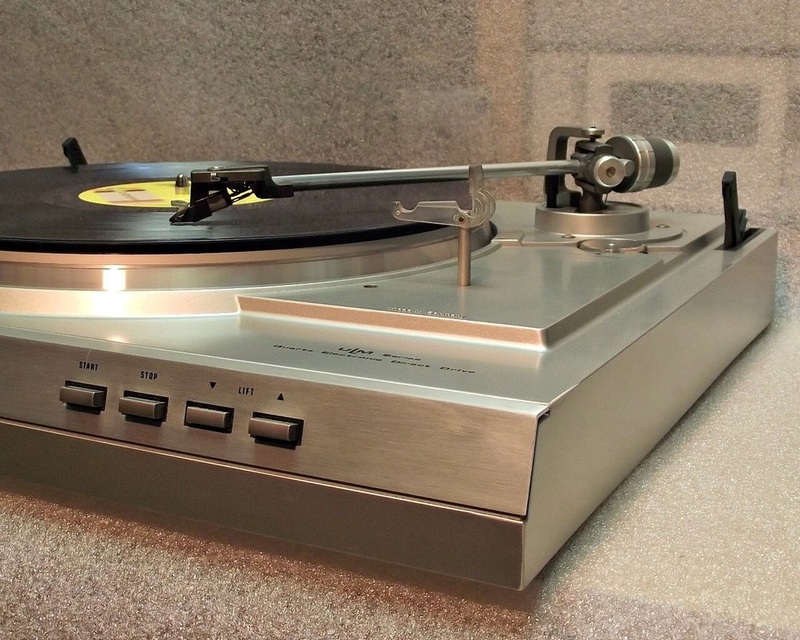 This SHARP RP-116 belt drive turntable came factory equipped with two Audiotehnica cartridges. This is a very, very good player. Even it has only the size of a record jacket it is a real high tech machine. Quartz controlled direct drive motor in the lower aluminium diecast cabinet and a tangential arm mounted isolated in the upper aluminium machined cover. 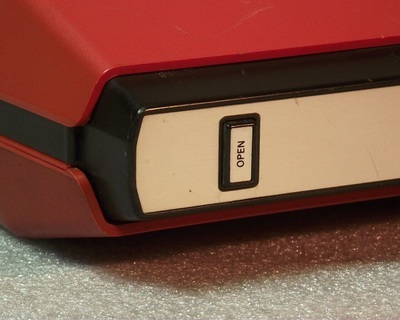 When you close the cover, it locks into position and has a record stabilizer element in the middle. 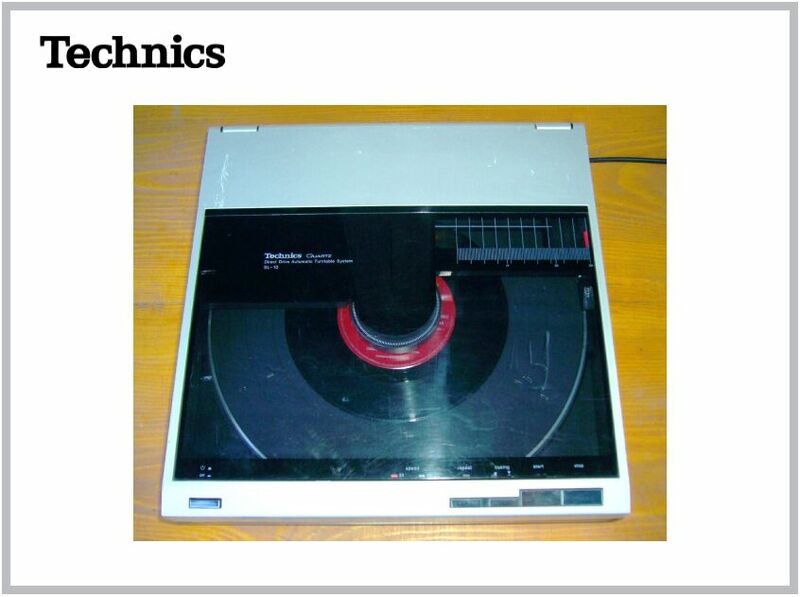 ​According to the manufacturer it can even play upside down. It can be battery operated and has a built in MC cartridge equalizer. 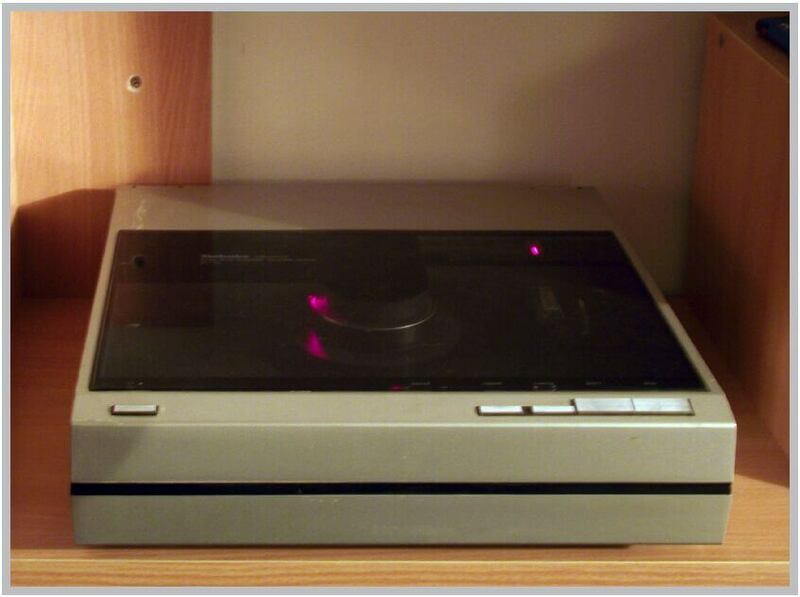 In the picture you can see an AKAI T4P cartridge but that was later replaced by an AudioTechnica cartridge.